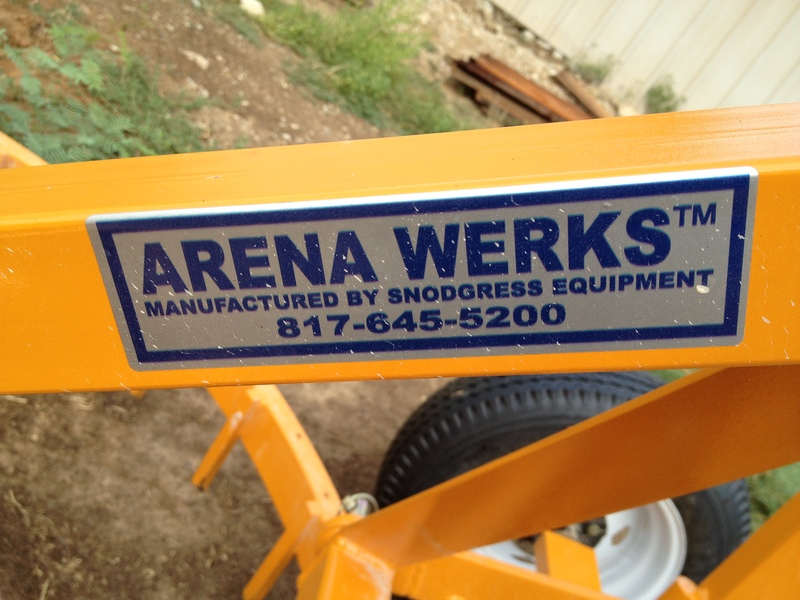 Arena Werks, arena groomers are built tough and made to last. Made for all walks of life and arena sizes, arena werks can work for you! 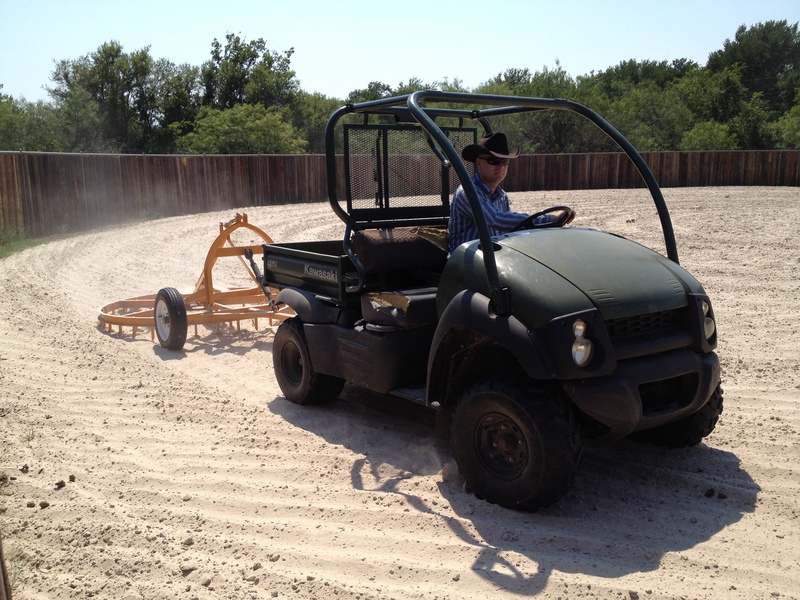 Here at TnT Ranch and Tom Davis Horsemanship we use the “Buggy” it works great pulling it behind our “mule” – with the dry and wet weather in Texas – the buggy works wonderful fluffing our sand. We get a level arena and great footing. The buggy has a three-point hookup just like a tractor. 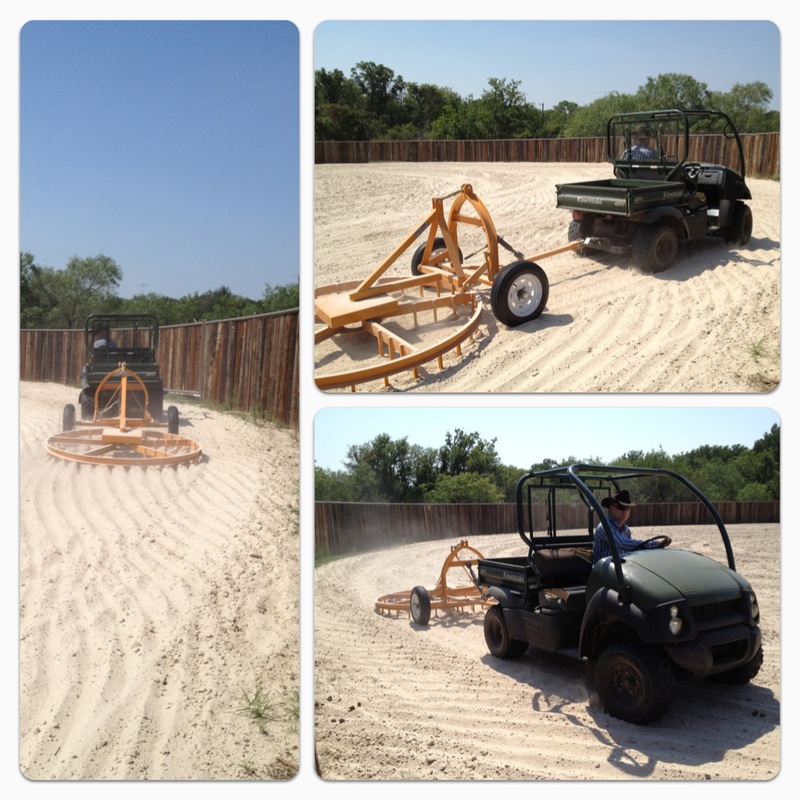 It can be pulled behind a pickup truck, gator, mule, or 4-wheeler. Harrow sold separately. Harrows also available with replaceable teeth. Of course there is other sizes and groomers available to suit your needs! The round action of the groomer can ensures full coverage on your footing. Be sure to visit Arena Werks website and tell Randy and Tracie Snodgress we sent you. Of course you can always follow them on Facebook for more info as well.